Fælledparken is a lovely, centrally located park, and next to Paken, the Danish national stadium. It’s a great run to do standalone or as an add-on the paths along the Lakes. The park has numerous paths, and is a popular running spot. Invariably you’ll see soccer games going on when running in the park. There’s also a nice cafe called Pavillonen. The Niels Bohr Institute is on the perimeter of the park. Since there are so many paths, we don’t have a specific route. It’s about 3.5k around the perimeter paths. 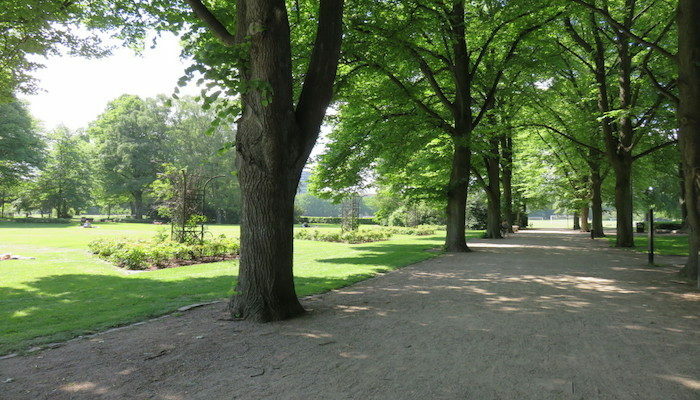 Fælledparken is home to Parkrun, a free group 5k held every Saturday morning. You can see the course map and learn more here.